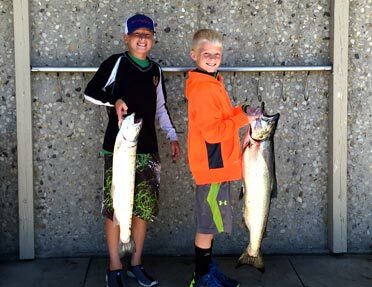 When you head out into the waves of Lake Michigan on a private fishing expedition with North Fork Sportfishing Charters, you reel in a remarkable expert fishing experience and memories to last a lifetime! Our chartered fishing trips are designed to be exciting, comfortable, and memorable for guests of all skill levels. We provide 100% of the bait, tackle, and expertise, and our main focus is catching fish. Our track record proves our expertise! We know you won’t go home disappointed. In fact, our aim is to have you thinking about your next North Fork trip as soon as you step back onto the dock. Our large, comfortable boat offers a smooth and stable ride designed for great views and protection from the elements when needed, with a clean, private restroom below deck. 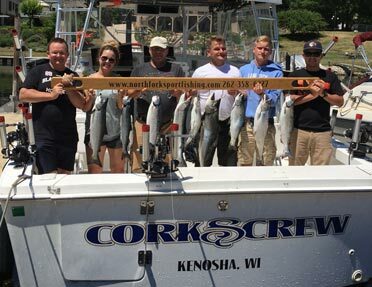 From our home port in Kenosha, WI, North Fork Sportfishing Charters has access to some of the best trout & salmon fishing waters Lake Michigan has to offer, with bountiful populations of Coho salmon, Chinook salmon, lake trout, brown trout, and rainbow trout. 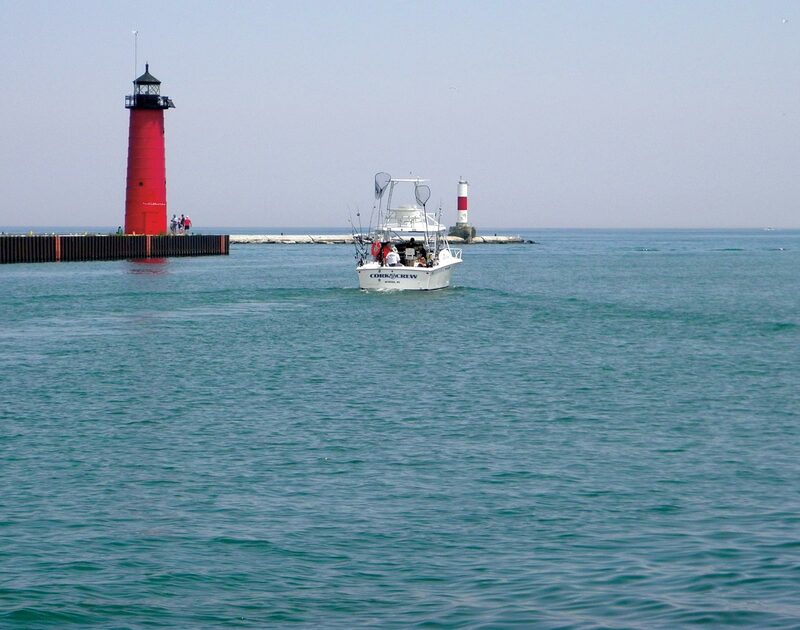 This is no fish tale, it’s fact: year after year, fishermen in this area routinely net the greatest numbers of fish of any of Wisconsin’s Lake Michigan ports. 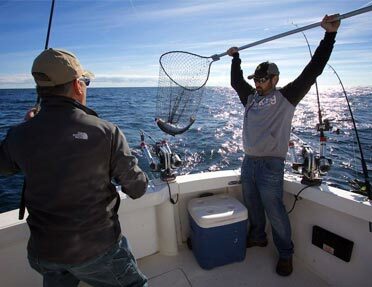 Your Lake Michigan fishing charter is all about YOU. We accommodate hands-on educational trips just as eagerly as social trips for seasoned groups, where we stay behind the scenes until needed. This is your adventure, and we’ll go above and beyond to ensure you go home happy. Charter season runs from early spring through late fall. Call today to book your outing! The only thing more important to us than catching fish is your safety. North Fork Sportfishing Charters is fully licensed, Coast Guard inspected and insured.